Asia’s leading and forerunning B2B event – Clean India Technology Week, is arriving in Bengaluru, this February on 13th, 14th & 15th at the Bangalore International Exhibition Centre (BIEC). Witness over 350 participants from across 20 countries with more than 15000 visitors and four shows ­- 16th Edition Clean India Show, Waste Technology India Expo, Laundrex India Expo and Car Care Expo all under one roof. The three-day long event will include high level conferences & seminars, new launch of innovative products, B2B interactions with distributors and channel partners, live demos of products and processes, connect with leading service providers, exclusive meeting with buyers, trade association meet and much more… Parallel international conferences held will be on – Conference on Hospital Infection Control (CHIC), Conference on Digital Facility Management (Digi FM), Hospitality Connect, LaundrexNet, Waste Technology India Conference and Car Care Conference. The Clean India Technology Week draws visitors from varied sectors and government departments; healthcare, hospitality, pharmaceutical, healthcare, facility management, food processing, manufacturing industries, corporate houses, industrial townships, Municipal Corporations, railways, car care centers, laundries and others. Single largest platform showcasing solutions for clean surfaces, clean environment, clean linen, clean air and clean water, Clean India Technology Week (CTW), organised by Virtual Info Systems Pvt. Ltd, is a week-long programme consisting of roadshows, conferences and exhibitions focussing on Smart Solutions for a New India. Being held annually, CTW provides an ideal space for networking, exchanging ideas, overviewing current innovations and technologies, engaging in Buyer-Seller interactions and B2B meetings. Established in the year 2000, VIS Group has emerged as India’s leading Media & Publishing House. With 3 vertical specific publications, 4 premium Trade Shows, 5 innovative Conferences, Road Shows & Industry Awards, VIS Group has grown to become the Voice of the Country. Catering to very niche industry verticals – Cleaning, Hygiene & Sanitation; Traffic & Parking Technology/Infrastructure/ Management; Building Technology & Design, the group has a strong foothold not only in the Indian market but also Global market. Clean India Journal, which began its journey in 2005 with the sole vision of being the prime facilitator in creating a clean India, today reaches out to a vast cross section of readers across borders. Focusing on the latest in cleaning technology and hygiene solutions, CIJ also covers related segments, including washroom hygiene, laundry, pest management, car care, waste management and so on… It also has a dedicated section for the service segment – housekeeping and facility services. Acknowledged as the Voice of the Indian Cleaning Industry, CIJ forms the bridge between suppliers and solution seekers through the print / digital editions, international exhibitions, conferences, special meets and roadshows. Laundrex India 2018 has been a great show, and this is a very informative and productive platform for committed entrepreneurs. From my perspective, Laundry products, services, technology, packaging and chemicals was a wonderful combination under one roof. Seminar and conference was of great sound knowledge having great speakers. Exhibitors have displayed a good range of materials and the products directory has been very handy to reach the stall for business proceedings. It is a good place along with a delightful show, especially the Laundry Expo. The conference was sociable, and we got a chance to do some good networking. Visiting the laundry stalls, I found subtle solutions and even some good machinery networking for future expansion. This show for me was very informative. It is the only place where we get chance to know more about the latest trends and technology on Laundry and grow our Business Network by networking with the key players of the industry. Overall it was a good experience. Laundrex India Expo is the platform to share knowledge and new technology updates. Personally, I got an opportunity to meet various experts from Laundry sector which will help me get answers of laundry related questions. Well planned visit by corporations, saw teams from Panipat, Thane and 14 other cities sourcing specific products. Panipat Corporation team sourced road sweepers and were looking for open drain cleaning machine. “We have found the solution we required in this Expo and are looking forward to purchasing some of the equipment as well. We are having Swatchata Sarvekshan team coming in February to judge our cleanliness mission and we are geared up to make Panipat a cleaner place than it is and try coming within the top 200 cities than the current rank of within 300 cities,” said Krishnakumar and Sudhir Kumar (Chief Sanitary Inspectors) and Narendra Kumar, Panipat Municipal Corporation, Haryana. “It is just two years since I have taken over the council as the Chairperson. When we took over, I could see garbage heaped up at every corner of Margao and it was a big challenge because we did not have the support of the administration. However, we went on and kept pursuing the subject. In fact, me and my friends engaged in door-to-door education. We also had the challenge of the Safai Karamcharis mixing the segregated garbage. People throw thermocol and packing materials right at the corner. There are some dark spots in the city which are very difficult to take care. Nevertheless our efforts are on. Margaon is surrounded by 11 panchayats and a lot of waste comes from these areas due lack of waste disposal system. Many entry points are flooded with garbage. We have almost achieved a 100% in collecting from door to door as we have increased the paid sanitation process. The flow of visitors on all three days from different places across India, confirmed the increasing investment in the growing car care business in India. Automated car washes, bike wash, foaming, steam cleaners, exterior cleaning agents… this show had a huge crowd on all three days. 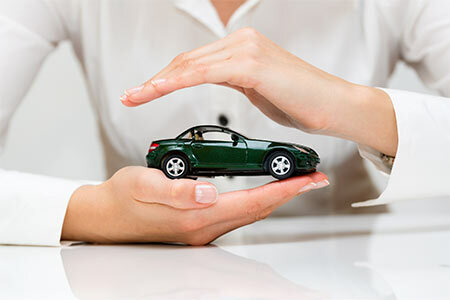 Even though there are many auto expos, Car Care Expo which is dedicated is one aspect, is fast gaining grounds. The focus is not only in the level of cleaning but doing it effectively with minimum chemicals. Steam cleaning uses eco-friendly method of bacteria removal along with car washing. Waterless car washing was another technology in demand. Irrespective of the size, buses and railway coaches too can get a wash down in minutes with Made in India vehicle wash system; thus, giving more than eight and half million commuters a cleaner, safer and healthier experience. This is one Expo which has caught the attention of start-ups and many car care parlours are coming up across India. 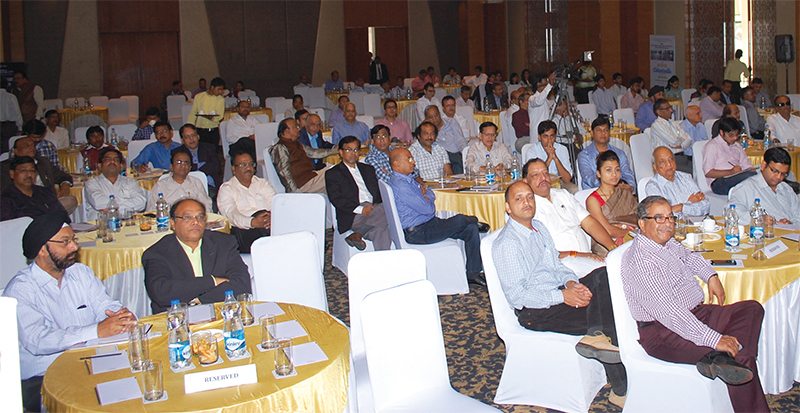 The conference on Car Care Technology &amp; Business Opportunities was received enthusiastically. It included sessions on Water and Power Saving, Car Care Chemicals, Foam Wash, Waterless Wash, Nano Coating. This also was followed by a power packed discussion on Setting up independent Car Wash / detailing centre and increasing CSI Rating. Marking the strength of India’s Cleaning & hygiene Industry, Asia’s largest cleaning event, Clean India Technology Week 2016 drew 8,250 business visitors – a jump of 78% from the previous show – from varied sectors and government departments: healthcare, hospitality, pharmaceutical, healthcare, facility management, food processing, manufacturing industries, corporate houses, industrial townships, Municipal Corporations, railways, car care centres, laundries …. Amid high enthusiasm and overwhelming response from both exhibitors as well as visitors the five expos concluded on a high note, taking another step towards the fulfilment of Clean India. The enthusiasm could best be described through the eyes of an 82 years old physically challenged visitor N.Boriah, Proprieter of a textile mill who travelled from Bangalore to Mumbai visited each and every stall noticing the developments occurred in the last 60 years and appreciating the latest eco-friendly technologies showcased at the Expos. “We have been using machines that clean at some environmental cost such as carbon emission. However, I am amazed to see the new innovations that are 100% eco-friendly. This will help transform the cleaning in true sense,” said Boriah. The 3-day event filled with sellers-buyers meets, knowledge sharing sessions, entertainment, recognition and networking saw the convergence of Municipal Commissioners, Mayors, CXOs, housekeeping heads, purchase managers, GMs and operational heads across the segments, majorly hospitality, pharmaceutical, healthcare, Railways and food processing. The Expos marked the launch of many game changing technologies & innovations that might redefine the cleaning, hygiene and sanitation market of India. To name a few, while the B-Dreams’ patented world’s cheapest P-blocks addresses the sanitary issues of the country at large, Clean India Award winner Gala’s broom has the potential to redefine the ‘brooming’. Tanishka Products’ Micro-encapsulation technology and Arrow coated’ film technology takes the fragrance and dosing system to a whole new level. Addressing the press Jayaram Nair, Chairman-Virtual Info Systems Pvt. Ltd, organiser of Clean India Technology Week, said, “Showcasing the latest developments in Cleaning, Clean India Technology Week is nothing less than a celebration for the Industry. Concurrently happening with Expo were the seminars and discussions on “Current Challenges with Today’s Housekeeping” and “Creating Synergies between procurement heads & housekeeping” along with papers by IPHA. “With over one crore people associated, cleaning is an Industry,” said Chief Guest Shri Subhash Desai, Minister of Industries, Government of Maharashtra, while lighting the lamp. The dignitaries present during the inauguration included Toni D’Andrea, CEO of Afidamp Servizi, Michele Redi-President, IPC Ready System; Markus Asch-Deputy CEO, Alfred Karcher GmbH, Peter Hug, Managing Director, VDMA and representatives from all the exhibiting companies. Speaking to Clean India Journal following the tour of the expos, the Minister said, “I can see a lot of new cleaning innovations and technologies showcased here which will not only makeover the image of cleaning at its core, but will also be instrumental in achieving the Clean India Mission. 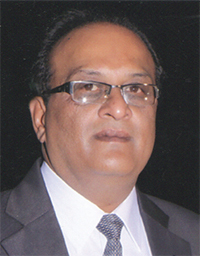 Jayaram Nair, Chairman-Virtual Info Systems Pvt. Ltd, organiser of Clean India Technology Week, said, “Showcasing the latest developments in Cleaning, Clean India Technology Week is nothing less than a celebration for the Industry. A substantial footfall from varied sectors including healthcare, pharma, airport, business houses, hotels and government department & bodies such as transport corporations and Municipal Corporations besides car wash companies, garage owners and distributors among many others visitors. 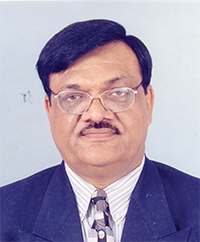 Dr. Prashant Narnaware (I.A.S. ), Collector & District Magistrate, Osmanabad: The exhibition is very useful for both public and private sector. We saw various innovative technologies with live demonstration that can be used and scaled up for municipal purposes. We would like to connect with some of the providers of cleaning solutions and explore the opportunities for us as well. The will help us in meeting the Swacch Bharat mission. Bipin Kumar Dixit, Proprietor, B K Builders & Suppliers, Bundelkhand: I am a supplier of cleaning tools and solution in Bundelkhand region. We do face a problem of higher pricing from local suppliers. I am here to seek the possibility of direct linkage from the manufacturers itself to avoid such hassles in future. I have seen some advance equipment and tools at different stalls, which we may procure and introduce to our clients. Sujay E, Director, Biznustek Systems Pvt. Ltd, Banglore: The show is good and has been meeting all our expectations. I was looking for some manufacturers to prepare spare parts that could be adopted by us to serve out our automation clients. Prakash Ghodas, Housekeeping Personnel, BARC: I have been working as a housekeeping personnel at BARC for the past 40 years. I came here to see some of the best available hygiene solutions for common and exclusive uses too, and must say the expo has a variety of products to meet our demand. K Santosh Kumar, Regional Business Manager –West, Dabur India limited: Dabur is not an exclusive supplier of cleaning solution though some of our brands like Odonil and Fem fall in that category. I am here to look for associates to distribute these two products specifically. The expo has exhibitors from different categories and provides good exposure to all stakeholders. Vainsun Ng, Managing Director, CT Corporation Ltd., China: I am here to understand cleaning market of India, the product range available and other prospects related to same domain. We are into facility management services in China and cater to various sectors. This expo definitely gives a glimpse of the huge cleaning market potential in India. Ahmadaly Fazal, Managing Director, Daitona General Trading LLC: Many of our partners are exhibiting in this show. I came here to see Made India products specifically the innovation and technology incorporated in those products. I met 70-80% of my expectations here. This is a nice expo though certainly few things can be added to the existing format. N Sushil Kumar, SGM, TechNova Imaging Systems (P) Ltd, Raigad: I have attended previous expo too and this one is much bigger than that with wider range of products and varieties. We are looking for liquid-based cleaning solutions for our industry premises and the demand is met by the exhibitors here. Mithilesh kumar, Housekeeping In charge, Softech Pharma, Daman: I have been in cleaning expo first time. We are looking for some good cleaning solutions and equipment for our company to clean our premises. I have found some really good liquid based and mechanical cleaning systems, which we will introduce for internal cleaning purpose. B Abhishek, Business Development Officer, Sai Shanmukha Agencies, Vijaywada: We are into the business of supplying cleaning solution since four years with clientele varying from various private players to government agencies. This expo is much bigger than the previous edition, and provides better exposure to the cleaning professionals. I have figured out some new models to introduce in our fleet. Ashok G. Deshpande, Manager-Corporate Communications & Administration- Glaxo SmithKline: Being a regular visitor, it is heartening and gives me immense pleasure to see the Clean India Shows getting bigger with each Show and thus the cleaning industry. I congratulate the team India for encouraging the made in India products too. Students Group, Sriram Polytechnic College: We are doing a project on solid waste management technology as a part of our third year curriculum. We found some really interesting concepts that can be replicated in our project. The expo is helpful in terms of getting new ideas that can be a part of our projects. Antony K P, Housekeeping In-charge, Maulana Hospital, Malapuram District, Kerala: This is first time we have visited in cleaning expo. We are looking for some high end cleaning solutions for our hospital premise. We met here various exhibitors who can fulfill our specific requirements. Nitin Rokade, ShreemTech Solution, Kohlapur: We are industrial traders and suppliers from Kolhapur. I found many liquid based solutions and equipment that can be introduced in our supply material list. The exposure was good. Kiran Vijay Dani, Business Development Manager (I&I), Mumbai: We are planning to foray into cleaning solutions market at regional level beginning from Maharashtra. I see here many of our competitors too. I attended the Indore Expo too, but this one is much bigger and better than that. We look forward to plan for a stall in next Expo. Charuchandra Dewasthlae, Eximious Ventures P Ltd., Thane: We are a provider of building maintenance solutions to ensure zero discharge at building premises. 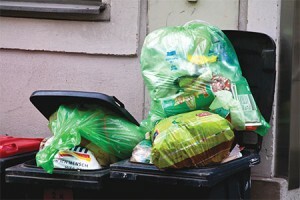 I am specifically looking for solid waste management technology and advanced cleaning solutions. This is a good attempt at large to showcase the cleaning technology and solutions under one roof. There were a lot of good products on display at the Show. I found car-care expo quite innovative and very informative section. If we could have some cost effective versions, then they would be definitely do well in the Indian market. I have been at the earlier edition of the Show too. This time, besides cleaning equipment and tools, I am happy to see such a large space being devoted to other sections like Car Care, Laundry and even for Waste recycling too. I congratulate the organizers of Clean India Expo for their untiring efforts to bring these issues to the forefront and provide a platform for the Indian cleaning industry. – AN Hariharan, Cipla Ltd. It is a focused and niche show and we got to witness some of the innovative, best and latest technologies. The Expo is very helpful in terms of finding relevant agencies/companies who could provide cleaning equipment & tools especially for hospitality sector. We found Eurosteam’s products very useful and compatible for cleaning residential areas. 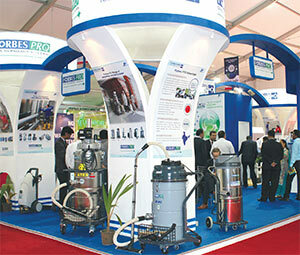 It is a great Show to witness some of the latest technologies in cleaning industry. The Expo has managed to draw the attention of each and everyone associated with the sector. The showcasing of different kinds of industrial sweeper was particularly interesting. Indeed an excellent effort. Clean Technology Week offered a great avenue to learn about the upcoming developments and for meeting relevant people. The show gave a good exposure to cleaning chemical suppliers like us to expand our area of operations. I have been visiting Clean India Expo for the last two years, and have seen the show growing in stature, participation and even in the quality of visitors. It provides a seamless platform for all the major stakeholders of the cleaning industry – solution providers and end-users. Even the conferences/seminars have become an important and successful forum for exchange of information on the core issues. The laundry care segment has some of the best and advanced systems and it was good to see innovative technologies showcased. We were also able to meet quite a few laundry system providers. In fact, the entire event was informative and more technology oriented which is a step in the right direction. Cleaning Technology Expo is definitely an ideal platform to bring together the technology providers and different end users including the housekeeping and facility management companies. We are looking for original system/ product manufacturers who have the expertise, capabilities and experience in the specific field to cater to restaurant/catering services. Over 200 exhibitors from 20 countries, over 100 new launches, live demos, exclusive buyer-seller meets and distributorfranchisee partner networking are all the highpoints of the Expo. With over 20,000 visitors scheduled to visit the event, think tanks on ‘Internet of things’, a significant part of ‘Digital India’; Cleaning & Hygiene segment- Investors under ‘Make In India’ and People spreading awareness under ‘Clean India’, together will present the perfect ecosystem for the international Cleaning & Hygiene industry in India. Organised by the VIS Group in partnership with Afidamp Servizi, Italy, the Show will be held on January 21, 22 and 23 in Mumbai, India. The Shows will help industries/ institutions pick the right equipment, tools or consumables in terms of cost, quality and life span and help their units maintain the highest cleaning hygiene standards on a serious note. Cleaning Industry professionals from sectors like healthcare, pharma, industries, business houses, hotels, government departments, Transport sector, Municipal Corporations etc who are increasingly looking for cleaning solutions will be part of the event. It is significant that over 400 national and international cleaning products/systems will be on showcased. The IFM Summit on January 22 will lay importance on the relevance of infrastructure and Facility management to company to organisation’s business strategy in the current competitive environment. It will bring together international and national experts on a knowledge sharing and networking platform. In a separate event on January 22, the much-awaited 2nd Clean India Awards will announce the winners at a gala ceremony in Mumbai. Lines are open for the nominations in different categories. The upcoming Cleaning Show in Mumbai has already created a lot of enthusiasm among both the exhibitors and professionals who are planning to visit the event. There is just one month left before the curtains go up on the Asia’s much awaited Clean India Technology Week 2016, comprising five Trade Exhibitions, Awards, Competition and Conference. covering area of 1.2 lakh sqft, about 200 exhibitors from over 15 countries are showcasing products & systems and latest solutions. With an expected footfall of over 15,000 visitors, the Expos are set to create new records. There is much enthusiasm not only in the Government bodies that have come forward to support and attend the exhibition, but also the other organisations and private companies that are partnering for various events happening independently. While the Government bodies including Central Pollution Control Board; Maharashtra State Ministries – Water & Sanitation, Transport and Tourism; MCGM and Kolhapur Municipal Corporations have already extended their support to the event, International Associations – VDMA and European Cleaning Machines Associations too, have joined hands to make the event, a success. Among the other supporting associations are Federation of Small Scale Industries, Maharashtra Societies Welfare Associations. The flagship cleaning show entering into the 13th edition, will be showcasing some unique solutions and equipment which not only simplify the cleaning processes but also does the operations of multiple machines in one. While floor cleaning options showcased, will in itself have varied machines according to industry applications, long lasting battery models are being introduced. The highlights in the chemical end include innovative concentrates, nano-technology based solutions, enzymes and multiple-use chemicals besides pre-dosed water soluble sachets. Interesting mechanized tools with high reach solutions for façade cleaning to indigenously manufactured battery operated housekeeping trolleys are set to awe the end users. The Show will witness a lot of Made in India products which are cost-effective and result-oriented being launched and introduced. More than 60 new models will be launched at the expo. The Show has received overwhelming response with exhibitors gearing up to engage with new customers from the railways, hotels, hospitals, manufacturing industry and retail laundry. The products will address two major issues of laundry being energy efficiency and water efficiency. Laundromats, a fast gripping attraction in India today, will be on display today. There is an equally good response from the end user segments. Laundry and dry cleaner association in Delhi, Ludhiana and other parts of India will be visiting the Show. A full day long Laundry Cleaning Conference with presentations and panel discussions will give an excellent opportunity to network. Bio bins to digesters … recyclers to fuel makers… in short from the smallest to the biggest solutions to tackle waste will be showcased. This platform will see the municipal corporations visiting from far off places including Kolhapur, Pune, Mumbai and its sub divisions in Maharashtra besides Karnataka and Central India. Closely working with us in inviting the cooperative housing societies in Mumbai is the Maharashtra Societies Welfare Association. CHS will be visiting the show for not just waste solutions but also cleaning and car wash solutions. A special Meet the Expert session has been organised with Credai Clean City Movement Vice-President addressing the gathering on getting self-reliant in waste management and recycling. The first edition of the Show, is attracting garages and petrol pumps which can look at making car wash a business model. Indigenously manufactured robust and less space consuming solutions will be on display. Besides, everything required to make a car hygienic and give the best travel experience will be showcased. A Round Table Discussion has been organised to have the experts address garage owners and petrol pumps. While the solutions are on display, getting the right service provider is equally important to maintain facilities. So are the smaller solutions for maintenance for smooth operations and better living environment. Visitors from the manufacturing segments are coming to meet prospective service providers. Two exciting regional rounds in the South and North concluded last month and preparations to the West round was on at the time of going to press. Faber Sindoori Management Services and Manipal Integrated Services from the South zone and Ultra Clean & Care Services Pvt. Ltd. and Kannelite Facility Management Services Pvt. Ltd from North zone along with the regional round winners of West will take on each other at the ultimate housekeeping quiz challenge on on January 21, 2016. The winners of the grand Challenge will be presented Awards & Certificates followed by an after Award Gala party celebration on January 22 at the Leela, Mumbai. on January 22 will bring together international and national experts sharing their expertise on the relevance of infrastructure and facility management to company to organisation’s business strategy in the current competitive environment. Virtual Info Systems Pvt. Ltd, the organizer of Clean India shows and publisher of Clean India Journal, is organizing mega expos and events in January 2016 at Mumbai. Cleaning Technology Week 2016- A Source of ‘Clean Living’, is a first-of-its-kind event encompassing all aspects of life: clean surfaces, clean water, clean environment, clean air and clean linen. Under the banner Cleaning Technology Week 2016, five exhibitions, conferences, competition, awards and roadshows will be held from January 18 to 23, 2016. Five exhibitions will be held under one roof from January 21 to 23, 2016 at the Mumbai Exhibition Centre. The cleaning exhibition will showcase solutions to keep surfaces clean be it in industries, commercial spaces, roads or offices. The integrated facility services will include services for maintaining and managing different premises. The waste management and recycling exhibition will have solutions for managing and recycling of different kinds of waste, both solid & liquid, generated in industries, cities, homes and so on to ensure clean surroundings. In the laundry show, solutions, technology and systems that provide clean and infection-free linen/clothes will be showcased. Equipment, tools, systems and solutions to keep all kinds of vehicles and service stations clean and hygienic for a clean travel experience will be exhibited in the first-ever show of its kind in India. A high-level international conference on Facility Management — IFM Summit 2016 — will be held on January 20 in Mumbai. At the Summit, eminent speakers and experts in the facilities management segment from across the world, will present papers, hold workshops and conduct panel discussions. System integrators, product suppliers and service providers will exhibit at the Summit. Alongside the Expo, Clean India Conferences will host seminars and workshops on Industrial Cleaning, Waste Management & Recycling, Linen Care & Laundry Systems, Car Wash and Maintenance and Facilities Services. The second edition of Clean India Awards will be given away to winners on January 22, 2016, at a gala event in Mumbai. The entries to various categories will be invited from June 1 to September 30. The nominees will be declared by the expert committee consisting of experienced veterans in the field. The categories of the Awards will be announced in May 2015. All said and done, the success of any cleaning job depends very much on the people who bring technology and expertise together at the grassroots level. Clean India Challenge attempts to give a new life to the routine activities performed by the cleaning staff and housekeepers. Competition will be held at various levels in different sectors including hotels, hospitals and facility services companies. The grand finale and quiz contest will be held on January 21, 2016 and the winners will be awarded at the Clean India Awards night on January 22. The entries to the contest will open from May 15 to June 30, 2015. The competitions will be conducted between July and September, 2015. The shortlisted teams will be announced in November- December 2015. The three-day Clean India Pulire 2013, which concluded last Saturday, recorded 99% of exhibitors and visitors saying “it’s an excellent show and best”. At the sprawling MMRDA Grounds of Bandra-Kurla Complex over 5000 visitors from across India and other countries including Denmark, France, Middle East, Germany, Italy, Malaysia, Hong Kong, China, the UK, Switzerland and other countries commented on the fantastic products and services showcased by both indigenous and international manufacturers. Not only did Clean India Pulire attract visitors from newer segments but also set records of 42 new exhibitors, new product categories, new pavilions and above all a record launch of 65 new products during the Show. More than 80% of the exhibitors concluded top transactions within the first two days of the Show itself with day two registering the uptick in the number of visitors on a single day at this Show. Exhibitors shared their experience on the turnaround of quality trade visitors and end users from over 20 business sectors. Out of the sample of 160 visitors expressing their opinions about the show, 136 people, including international visitors, said CIP showcased everything required for cleanliness/hygiene under one roof. International visitors agreed that people from all over the world must come to CIP shows (in future) as they can make inroads into the Indian market and source their supplies under one roof. The sample included visitors from housekeeping& FM companies, manufacturing industries, schools, hospitals, hotels, civic bodies, banks, industrial houses, laundry services and others. Food companies showed great interest in the engineering and cleanliness products while representatives from Public Sector Undertakings including ONGC, Indian Railways and Fertilizer Corporation of India found the equipment showcased useful. About 99% of visitors found the right solutions at the show with several placing orders for its requirements on the spot. Nearly 18% of the visitors of the sample survey conducted said they made tie ups with different companies. Many of the trade visitors in the sample survey showed interest in taking up stall at the next Clean India Show to be held at Ahmedabad, Gujarat, from November 27 to 29. Hosted by Clean India, the 12th Clean India Conference 2015, held during the Clean India Show on April 16 and 17, at the Brilliant Convention Centre Indore, brought together over 100 delegates from across the country. Company proprietors, waste management & service operators, healthcare professionals and other industry specialists shared best practices, new ideas and latest market trends. The two-day conference was widely viewed by global industry leaders as the premier event for its networking opportunities and high-level contacts as much as for its content-rich sessions. With the spotlight on Waste Management & Recycling, Facility Services and Industrial Cleaning, the conference offered valuable perspectives on improving operational efficiencies, enhancing service standards and optimizing revenues. The waste session focussed on waste-to-energy, e-waste, PET recycling Clean India Conference and Paper Waste. Lt. Col. (Retd) Suresh Rege, Executive Director- Mailhem Ikos Environment Pvt Ltd explained Landfill Bioreactor as the most suitable solution to the present Indian scenario and could be easily deployed at all the present landfills. It does not require segregated waste. While Prof. Namrata Jain, Shri Vaishnav Institute of Management presented the latest e-Waste scenario and how to better it, Nishith Dave of Hindustan Coca Cola Beverages spoke about the PET recycling practices – PET to T-shirts and Chairs at the premise. Dr Shakti Kumar Gupta, Medical Superintendent spoke on ‘Developing better SOPs while outsourcing housekeeping for healthcare.” Speaking on the FM challenges, Sumit Suri, Director-Omni Group highlighted the crucial issues that are often neglected while sealing a deal. Focussed on Industrial training, the second day sessions were on: Concrete floor polishing & maintenance by Deepak Baluja, MD-Final Technologies; Effective cleaning with high pressure jets & steam cleaners; Better housekeeping & maintenance for SMEs by Sunil Chopra, Regional Head- Eureka Forbes and Washroom Hygiene Solutions by Prashant Sule, MD- Cannon Hygiene (India) Pvt Ltd.
Post lunch, UK Arun, GM-Roots Multiclean presented his papers on ‘Taking Industrial housekeeping to the next level.’ Tony Chazhoor, Country Head-Western Floor Pvt Ltd spoke on the benefits of mechanised cleaning for manufacturing units. Mrugesh Desai, Zonal Manager-Industrial Vacuum, Nilfisk Advance; Suneel Joshi, AGM-PCI and Shivshankar Surushe, Manager-Sodexo presented their papers on Material recovery/dust extraction, pest management & odour control and EHS respectively. The tea session was sponsored by Urja Facility Management Services (P) Ltd, Hygiene Medical Industry Co. Ltd and Karcher Cleaning Systems Pvt Ltd.
Madhya Pradesh’s biggest industrial belt comprising of Pithampur, Kheda, SEZ and other areas, a 30,000 crore investment zone, comprises of India’s largest automobile, pharma and textile companies. Cleaning is an essential part of any manufacturing facility and we believe that through the forth coming Clean India Show in Indore, there will be widespread awareness about cleaning technology in this segment. This is the first time that a cleaning show is being organised on a big scale in this city. This initiative by Clean India is a welcome move. All the manufacturing industries should take advantage of this opportunity. The Clean India Show being organised at Indore will definitely benefit the members, as they will come to know about the various cleaning technologies. Cleaning is essential for any manufacturing, especially for the pharma segment. Most of the pharma companies are definitely using cleaning compared to cleaning equipment. Smaller companies, with space constraints, would not be in a position to opt for mechanized cleaning. However, I am sure semi-automated small machines would interest them at the Clean India Show. condition, environmental care, floor cleaning, de-dusting mechanisms, contamination, clean room & sterilization. This show will definitely help to join the hands with Swachh Bharat Abhiyan. 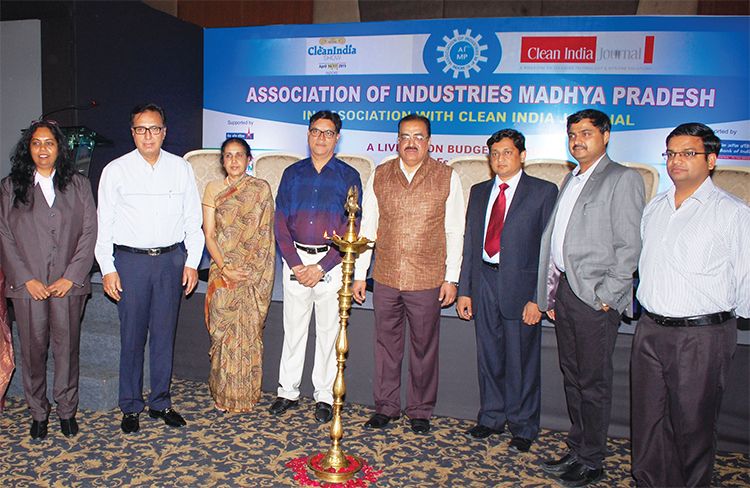 Clean India Journal joined hands with Association of Industries Madhya Pradesh (AIMP) in organizing a live budget discussion at Fortune Landmark hotel in Indore on February 28 and brought the leaders from various industries in Madhya Pradesh, including Indore and nearby industrial clusters. 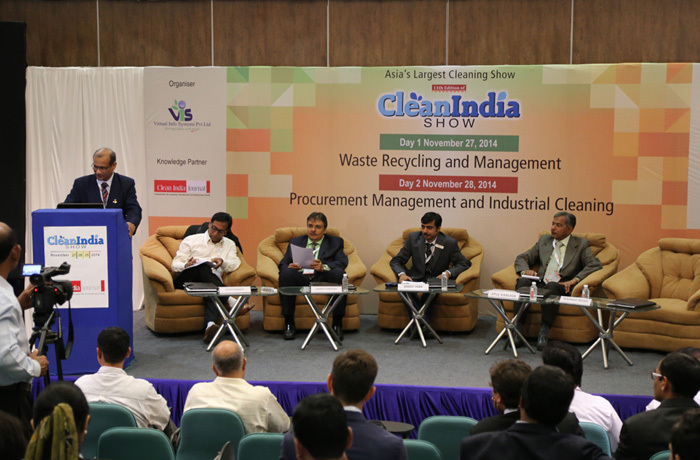 Launching the Clean India Show 2015 at the meet, which was attended by over 200 leading industrial houses, Clean India Journal in an informative presentation and interactive session emphasized the need for including cleaning as a part of every corporate budget plan. Industries hailed the forthcoming Clean India Show 2015 being organised for the first time in Indore at the Brilliant Convention Centre on April 16 and 17. When the Central Government has earmarked a huge sum for cleanliness & hygiene and public health, it is time each industrial house/corporate house set aside a fixed amount for maintenance and facility management. Clean India Journal’s presentation touched upon the fact that a small amount for scientific cleaning will add to employee productivity and increase the bottom line manifold. What is important is to understand the specific needs: dust control, machinery cleaning, concrete floor cleaning and polishing, best maintenance practices in food processing and drug manufacturing, high pressure jet cleaning for deep stains, etc. The event provided the right platform for spreading awareness about the Clean India Show and about finding the right cleaning solutions for a variety of cleaning needs. The event holds extensive significance, as the concept of mechanised cleaning in industrial facilities and their benefits are not yet fully understood in the region. “The ‘carrot and stick’ formula is the only solution, to the waste collection problem in India.” In a panel discussion on strategy of waste management, panel members C.R. Kharsan, Dy. Municipal Commissioner, Health & Solid Waste Management, Ahmedabad Municipal Corporation, E.H.Pathan, Executive Engineer, Surat Municipal Corporation, Paresh Parekh, Founder and Managing Director, Sort India Enviro Solutions Ltd, Bhavesh Hadiya, Environmental Engineer, Jamnagar Municipal Corporation and Mohana M, agreed that legislation, organised collection and segregation could actually save the Indian exchequer crores of rupees. A panel discussion was held on the topic, ‘Plastic recycling & technology.’ The panelist included, Haren Sanghavi, Director, GMS, Plastic Machinery Pvt Ltd. & Hon. 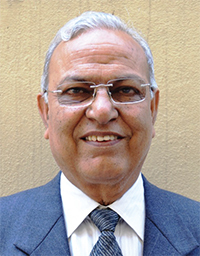 Treasurer- The All India Plastic Manufacturer’s Association (AIPMA), Mihir Banerji, Governing Council of Indian Plastics Inst. (IPI), Dhruv Shah, Executive Director, Prasad Group oF Companies, Atul Kanuga, Sr. Vice President of IPI President Board & Chairman-Environment Committee Plastindia Foundation and Prashant Trivedi, Secretary IPI, Ahmedabad Chapter, Chairman-Environment and Ecology Committee, IPI & Committee member Environment Committee Plastindia Foundation.